The Lesser Ritual of the Hexagram (LRH) is given in the Golden Dawn after initiation into the Grade of Adeptus Minor1. This initiation was received after having completed previous initiations and the period known as the Portal Grade. The LRH thus becomes the first planetary ritual GD students are taught, in a similar fashion as the LBRP is the first Elemental ritual they receive when passing from 0=0 Neophyte to 1=10 Grade of Zelator. Passing from the Philosophus Grade to the preparatory chamber of the Portal, is to allow students a period of nine or so months to synthesize what had been previously learned in the 3 1/2 years of study, prior to initiation into the Adept level grades. 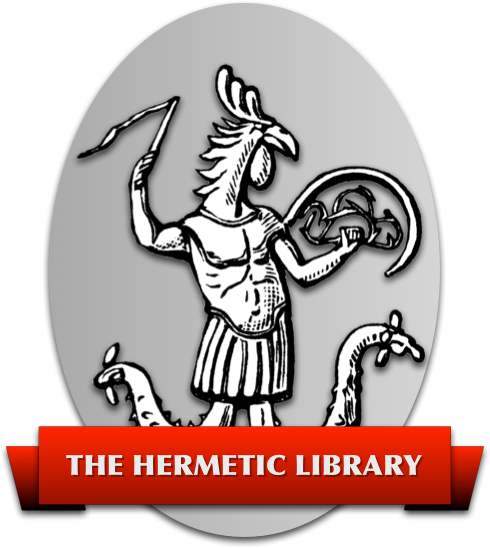 Most of the work centers around the LBRP, Elemental meditations and invocations, and spending a lot of time learning occult methods: such as divination, geomancy, tarot, astrology, and basic alchemical theory. Other techniques are also learned at this phase, but it is uncertain if they belonged to the original Golden Dawn curriculum, or are later additions. These exercises, as outlined by the Ciceros, are primarily designed to increase will, concentration, memory recall, and prepare for contact with one’s Holy Guardian Angel - symbolized by the candidates pending initiation into the Grade level (5=6) assigned to Tiphareth. Thus, a great deal of time is spent by new students in balancing the ‘Elements’ of their personality in preparation for work on specific inner functions of the psyche - as symbolized and contacted via ‘planetary’ work. The Lesser Ritual of the Hexagram was designed to assist students in learning the elementary aspects of invoking and banishing of solar (and later planetary) powers as they relate to the Elements. Regardie, quoting from the original R.R.et A.C. Adeptus Minor document (NAM Liber “C”) states5, “When thou shalt desire to purify or consecrate any place, thou shalt perform the Lesser Banishing Ritual of the Hexagram, either in conjunction with, or instead of that of the Pentagram, according to the circumstances of the case.”6 He further quotes, that if you have done Elemental working, it would be a good idea to banish with the LRH prior to doing any Planetary work. However, nothing is said about how or why you might invoke an Element, or an Element via a planet through this ritual. There appears to be a more complex relationship of ideas being presented than simply invoking or banishing a planetary force. In many respects, the Lesser Ritual of the Hexagram is more complex, and possibly powerful, than the ritual it precedes. Four variations of the hexagram are used instead of one, each relates to a particular element, and yet, an explanation of this relationship is never developed in any of the literature! This is probably due to many practitioners jumping over this ritual, as is often done with the Lesser Ritual of the Pentagram, and never realizing its benefits. Part of the significance of the relationship between the Hexagram and the Elements come from the fact that the symbol being used is a hexagram, or the symbol of the Sun. Not only is the Sun used as the great equalizing power in the Solar system, in relationship to the other planets, but it is also the source of matter in the solar system. All matter, esoterically, and possibly exoterically, is a result of the condensing of solar energy. This energy condenses in stages, represented by the Elements themselves. From Fire, to Air, Water, and finally solid matter, or Earth. Thus, through the Lesser Ritual of the Hexagram, we can access Solar power in all of its various manifestations. The notion of mixing the Elements and the Planets appears only once in the GD material - with this ritual. The use of the Elements to invoke and sustain planetary initiations is stated by Dubuis, but not by other authorities in print. This idea of using all four Elements in relation to a planet/sepheroth and not just its attributed Element (such as Fire for Mars/Geburah, Water for Chesed) maybe a singularly major contribution by the Philosophers of Nature’s founder and chief author of its lessons, Jean Dubuis, to Golden Dawn style magic. In Kether, all is pure energy; in Daath, the gateway between pure energy and subtle matter is formed (prima materia); in Tiphareth, the balance between energy and matter is established; in Yesod, energy predominates, but matter is present; and in Malkuth, there is pure matter. In Elemental magic we move the energy-matter-consciousness matrix more or less horizontally. But, by affecting the Solar Elements (LRH), we are in effect, effecting the quality and quantity of energy that becomes matter. This can then also be extended to the remaining planetary and zodiacal rituals. The Hexagram of Fire represents the Solar energy that we can contact. The Hexagram of Air represents the Solar energy we can absorb, as well as be inspired by. The Hexagram of Water represents the Solar emotions we can feel. The Hexagram of Earth represents the Solar energy that makes concrete matter that we can move and touch, in short, The Philosophers Stone. The “Kings” are the angelic force of Tiphareth, as well as the perfection of the Elements of Malkuth (Elemental Kings of Earth, Air, Fire, and Water). These Elemental Kings, or perfect expressions of Divine Consciousness in the phenomenal state of matter, are created in one respect by our ‘spiritualizing matter’ - or The Philosophers Stone. By invoking or banishing the Elements as they relate to Sol, we are in fact, dealing directly with these ‘perfected Elemental archetypes’ we call “Kings”. These perfect expressions of matter come from Tiphareth, and it is they that we are drawing upon when we do the LRH. Paralda, Niksa, Ghob, and Djin are all expressions, in the Hermetic context, of the harmony and spirituality of material creation, or “Heaven on Earth”. It is no surprise then, that this form of the hexagram is the one that is used when making the Elemental “Disk of Earth”. This disk, is used for acts of invoking and banishing Elemental Earth forces; as well as an altar when consecrating a tincture or talisman (as it represents our psychic centers in the ‘Earth’), and as a shield of defense against generally hostile astral forces. This last point is by far the most interesting, in that at least one organization has replaced the symbol of the Earth with that of the Quintessence for this Hexagram. These symbols are placed at the center of the Fire Triangle of each hexagram. Mars and Jupiter can be invoked using Fire. Water can never be invoked in the Northern Hemisphere, as it planets are never situated to the North of the Earth. Quintessence can only be invoked using Saturn, and only if mastery of the previous operations is attained. For the names to be used, Dubuis states the following: Water, the name in Yetzirah; Air, the name in Briah; and Fire, the name in Atziluth. Unlike the traditional Golden Dawn teachings however, Dubuis states that the spheres of Hockmah and Kether should never be invoked using the hexagram, even by mistake. Dubuis’ use of Quintessence in place of the Kerubic Sign of Earth, while reflecting his operative alchemical background creates some interesting considerations. If we consider that the sun in our solar system is the source of all life: energy and matter, then it is in short, The Philosophers Stone of our solar system. Since the Hexagram of the South, is the traditional hexagram of two intertwined triangles, it is then also the same hexagram that we use then invoking any or all of the planetary powers. This in essence, is suggesting, that when we invoke planetary powers through the Supreme Ritual of the Hexagram, we are in fact invoking the balanced energy of that planet, as it is reflected or harmonized through the Sun (or our personal ‘Sun“ i.e. Inner Master). The hexagrams then used in the GRH represent a dynamic tension of material and spiritual energies, as well as actual matter and energy, harmonized and directed by the Quintessence. This Quintessence is the absolute source of energy and intelligence, or the Akasha, when symbolized in the Pentagram Rituals. The use of Quintessence at this point, then makes a little more sense as it can be seen as an extension of the idea of ‘spiritual’ energy, taken to greater detail, via an explanation of the planets. That is, the Quintessence in the Pentagram Rituals is the unifying source of all Elemental energy. In the Planetary rituals we simply take this idea and apply it in greater detail, to each of the planets and their related psychic centers, ideals, etc. The Fire Hexagram - Imagine the Hexagram of Fire before you (or in the center of your heart). Imagine the fire as a part of yourself, and that you are receiving the radiant energy of the cosmos through this symbol. The Air Hexagram - the expanding, inspirational, and clarifying powers of the cosmos. Through the air we breath, the fire of the cosmic is accessible to us. The Earth, or Quintessence, Hexagram - perfect material creation, balance of energy and matter in expression. Love, Energy, and Expansion are all united and expressed on Earth via the Power of the Sun. This quintesssence, when in contact with matter, re-balances any disturbances and creates a condition of dynamic harmony. It is Fire, Air, and Water in combined and perfect expression. Operations on Sol then will have a transmuting effect on our entire being: physical, emotional, mental, and spiritual. The Physical effects should be greater health, particularly in the realms of heart, circulation, blood, and respiration. The Emotional effects should be greater feeling of unity and love with the cosmos, as well as increased feelings of sympathy and sorrow for the human condition. An almost manic-depressive condition can develop of great joy accompanied or followed by weeping. The Mental Effects should be greater clarity and insight into the harmony of events and people. Increased intuition and inner revelation. Omraam Mikhael Aivanhov states that to obtain positive benefits from the sun we need only meditate on it as it rises in the morning. The purpose of these rituals is to give us an interior initiation, one that ultimately will take us beyond the need for any exterior ritual, rite, initiation, or action whatsoever. This state of inner guidance is attained when we have developed a relationship, a veritable and true dialogue, with our Inner Master, or as is called in modern magical circles, “Knowledge and Conversation with our Holy Guardian Angel”. “When you’ll be an alchemist, there will certainly be two things that you have to experience. While meditating in front of your retort, you will feel your heart becoming fulfilled both with the burden of the world and with universal love; so, you’ll have much difficulty keeping your eyes dry. If this state has been reached, then you have reached the state of the Authentic Alchemist. Then you won’t need any formula, ritual, or prayer, direct contact resolves everything. In this state of Universal Love, be sure not to privilege someone in particular, except if the help requested concerns him or her. In these extraordinary states, think of the correct meaning of: “You will leave your parents, your wife, and your children, to follow me”. If love in particular is contaminated with egotism, it will hinder the opening of Universal Love. 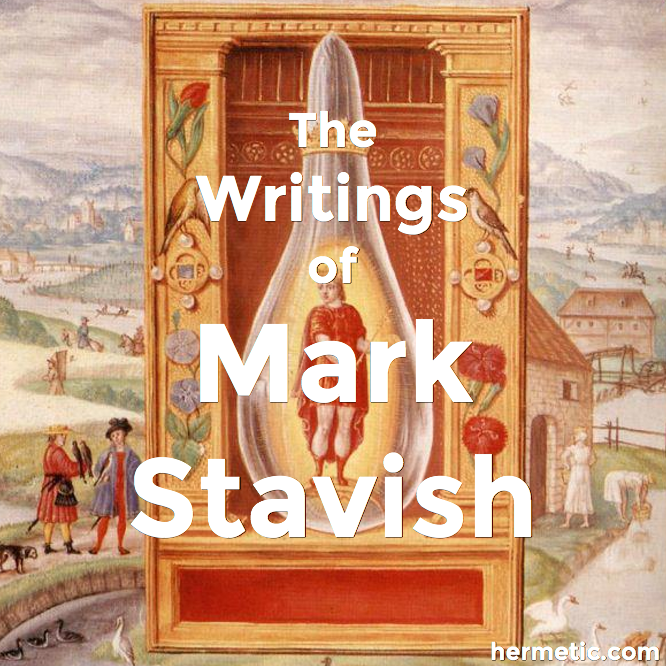 As soon as you have reached this state, you can be sure that the Chemist of Malkuth will directly receive from Tiphareth, by night or by day, all the elements he lacked, whether are from the domain of knowledge, or of Knowledge. 1. Self-Initiation into the Golden Dawn Tradition by Chic Cicero and Sandra Tabatha Cicero. Llewellyn Publications, St. Paul, MN. 1995. P. 689-691. 2. For more information on the various effects and uses of Pathworking see: Magical States of Consciousness by Melitta Dennings and Osborne Phillips, Llewellyn Publications, St. Paul, MN., and The Philosophers of Nature (PON) Qabala Course Lessons: 35-57. 4. The Opening by Watchtower Ritual is based on the Supreme Ritual of the Pentagram and the Vault of the Adepti. It was created by Regardie to assist the aspirant in achieving an inner initiation into Tiphareth. While its techniques traditionally belong to the Grade of Adeptus Minor, it can be performed during the Portal period. 5. “R.R. et A.C.” stands for, Roseae Rubae et Aureae Crucis. 6. Adam Forrest notes that this is almost certainly the language of MacGregor Mathers. 7. The Philosophers of Nature (PON) Qabala Course, Lesson 34, p. 2-5. 8. PON Qabala Course, Lesson 17, p. 1. 9. It has been pointed out to me by Paul Hume (praxis email list) that in Crowley’s Liber O all of the hexagrams begin with the Triangle of Fire, including the Hexagram for Water, which traditionally begins with the Triangle of Water. This final hexagram is the only one to begin with Water in the Golden Dawn variation of the ritual. Adam Forrest has also noted that all hexagrams should begin with Fire. The use of the Water Triangle in this instance is an error in the old Ares Press and Llewellyn editions of the Golden Dawn publications that has been perpetuated. All hexagrams start with the Fire Triangle. 10. PON Qabala Course, Lesson 72, p.1. 11. PON Qabala Course, Lesson 53, p. 3-4. 12. The Magic of Thelema: A Handbook of the Rituals of Aleister Crowley by Lon Milo Duquette. Samuel Weiser, Inc. York Beach, Maine. 1993. 13. John Michael Greer in Circles of Power (p. 147-148) Suggests using the colors red and blue when visualizing the hexagrams. This is not mentioned in Regardie’s Golden Dawn, but is a logical extension of the visualization at this point, since here, the Elements are being effected, and the Hexagram is often imagined as two triangles of Fire and Water (the primal forces of creation) intertwined. Point up is red, point down is blue, except for the Fire Hexagram (of the East), where the first triangle is red and second triangle is blue. In Crowley’s Thelemite/A.A Star Sapphire ritual the colors are reversed, with the fire descending and the water, or prayers, ascending. See: Duquette, p. 126. 14. At the 6th Annual PON Conference in Colorado Springs, CO. Dubuis stated that it is best to remain silent for a long period of time after having this relationship develop. Wait until you receive an inner impulse that it is alright to speak before doing so. We are to listen and learn from our Inner Self, not dictate to it! 15. The Splendour of Tiphareth by Omraam Mikhael Aivanhov. P. 33. 18. The Philosophers of Nature (PON) Mineral Alchemy Course, Lesson 72, p.4. Special thanks to Diane Bourne for the information on Thelema and Star Ruby Rituals. Special thanks to Adam P. Forrest for making valuable suggestions and corrections to this article prior to publication.